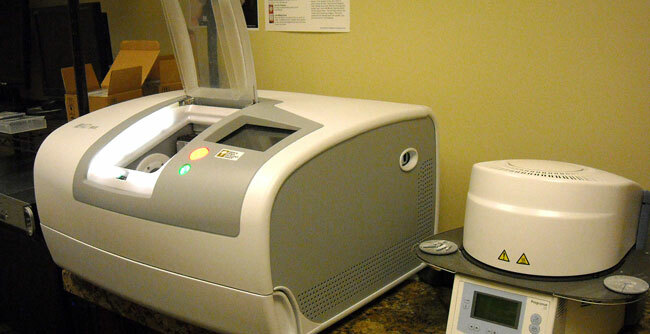 Our sterilization procedures anticipate and exceed the Centers for Disease Control guidelines. In our office, we have a large area dedicated to sterilization with separated countertops for used instruments and sterilized instruments, eliminating cross contamination. We heat-sterilize all hand pieces and instruments after each use. We only use ADA approved disinfectants, disposable gloves, masks, eye protection and barrier covers at all times. We pride ourselves in keeping our patients safe as well as our staff. Every year, we have our entire office examined by an OSHA representative to make sure we are up to date with the most recent codes. Dental preventive care and treatment is extremely important, but we understand many people avoid the dentist because they do not have dental insurance or their insurance companies do not offer full coverage for all procedures. At Cumberland Valley Dental Care, we try to work with our patients and their insurance companies to make their care affordable and achievable. Our dedicated staff members continually work to find our patient’s insurance benefits and coverage. We process all insurance plans, but only participate with United Concordia, Delta Dental, Humana and MetLife. Outside of insurance companies, we offer Care Credit: a healthcare credit card that allows our patients to afford the care they need and to pay off their balance at their convenience.